The CAD software prepares the specific layout data for the circuit board prototypes. Once the circuit board material has been selected the circuit board can be fabricated. 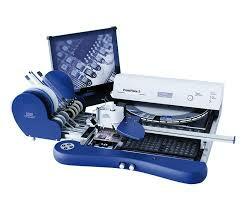 Depending on the requirements the material is structured with a circuit board plotter or a laser system. 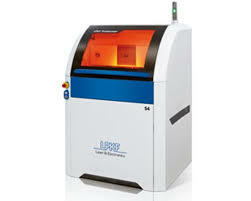 A laser system is used for ultra-fine structures and RF applications. Once the circuit board - single- or double-sided - has the conducting paths the circuit is tested. If faults are detected or changes are requested the data layout can quickly be modified. Thus a new prototype is created quick and easy, without the use of chemicals – and your data always remains in house. The sample allows quick advances in project development, and even small batches can be produced using the Rapid Prototyping method. The remaining process steps in in house PCB prototyping quickly produce a functional circuit board. 1. 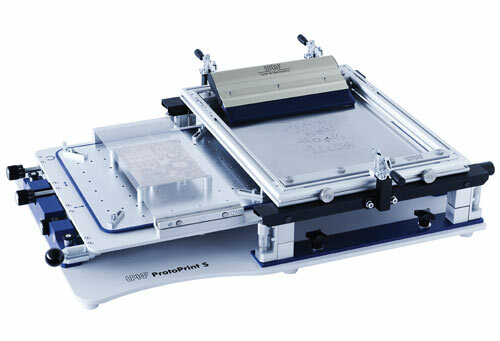 Reduce your fabrication of PCB prototypes from weeks to minutes! 2. Be independent from service suppliers and gain flexibility! 3. Solve your most complex and diverse design tasks with the LPKF prototyping products in the most easiest and convenient way. 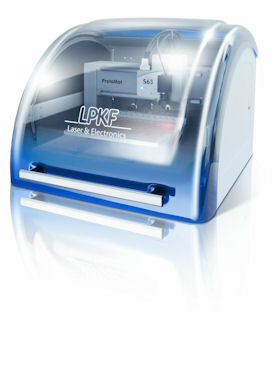 The LPKF ProtoLaser U4 uses a UV laser source. Many material groups are easy to process at these wavelengths – without additional tools, masks, or films. 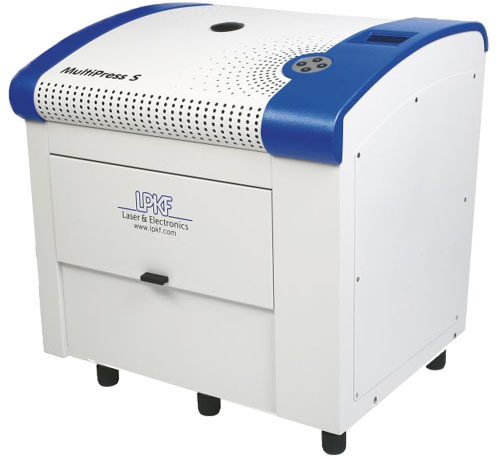 The LPKF ProtoLaser U4 builds on the success of its predecessor and expands its range of applications with targeted innovations. 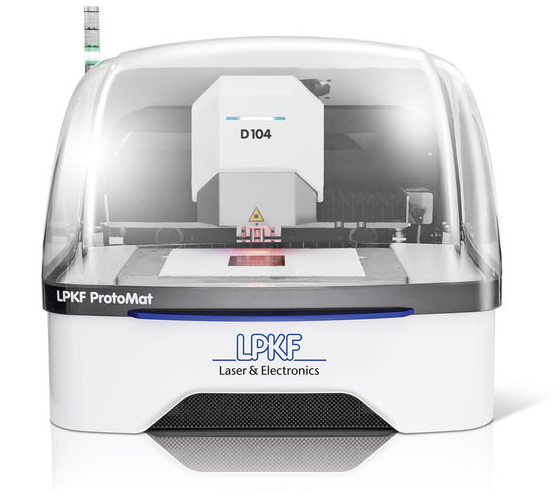 The LPKF ProtoLaser S4 features the new LPKF design, combining a classy look with clever solutions for operation and maintenance. Integration of the control PC is optional. 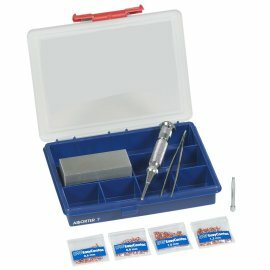 The ProtoLaser S4 is a valuable tool in the electronics lab. It can quickly and accurately generate fine structures and uses a special procedure for ablating large areas. The laser process requires no masks or tools to produce one-offs or individual marks. The board is passed through six baths of a bath cascade. This yields reliable copper layers on the surfaces of all existing vias, even in multilayer boards. 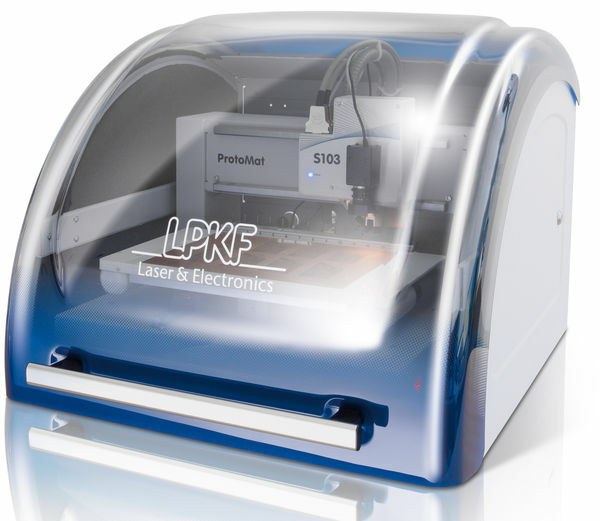 The LPKF Protoplace S is a semi-automatic pick & place system for professional SMD assembly of PCB prototypes and small series in the laboratory.